Losartan is a prescription blood pressure medication. Losartan tablets relax your blood vessels and lower your blood pressure. The medication is also referred to as Losartan potassium and it needs to be prescribed by a GP. Please note that this service is for patients who need a repeat prescription and who have been taking Losartan for at least three months. Order Losartan online - our service is quick and easy to use. Just fill in our brief medical questionnaire, so our doctor can decide whether you can continue your treatment with Losartan. Our service takes the hassle out of getting a repeat prescription. However, you still need to see your doctor for regular check-ups. Prices include prescription and delivery. Losartan is called an angiotensin II receptor antagonist. This group of medications is often prescribed to lower high blood pressure. Angiotensin II receptor antagonists act on certain hormone receptors in your body and block the action of angiotensin II, a hormone which narrows your blood vessels and increases blood pressure levels. As a result, the hormone can not cause a rise in your blood pressure and your blood vessels remain open and relaxed. How Do I Take Losartan Tablets? Losartan potassium needs to be taken on a daily basis. It is important that you follow your doctor’s instructions carefully. Do not stop taking your blood pressure medication unless your doctor has advised you to, as this may lead to dangerous complications. You need to swallow each tablet whole with a drink of water. You can take your tablets with or without a meal. If you forget to take a dose, just continue with the next Losartan tablet at the usual time. You mustn't take an additional dose to make up for the one you have missed. Always stick to your GP’s advice with regards to dosage. Which Losartan Dosage Do I Need? 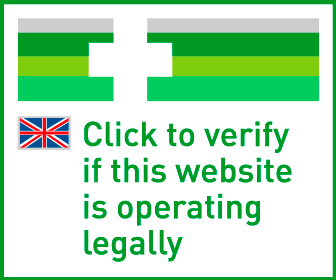 Your GP will decide whether Losartan 50mg or 100mg are suitable for you. Depending on how well you adjust to your medication, your GP may increase or decrease the dosage in the future. It is important that you visit your local surgery regularly for check-ups, so your GP can monitor your blood pressure and make sure your treatment remains effective. Please note, product packaging may differ from the image above. In some cases, your GP may recommend a lower dose of 25mg Losartan. This may apply if you are a patient over the age of 75, have liver problems or if you are taking diuretics. What Are The Side Effects Of Losartan? Losartan can cause side effects. For a complete list of all side effects Losartan can cause, read the patient leaflet supplied with your tablets. Will Losartan affect my ability to drive? Losartan can cause the side effect of dizziness or drowsiness. Do not drive or operate machinery if you experience this side effect. When taking Losartan for the first time, do not drive until you are sure that it does not impact your ability to concentrate. If you feel dizzy, speak to your doctor before attempting to drive or work with machinery. Are There Any Warnings Or Drug Interactions? Your GP will decide whether you can take Losartan tablets. For some patients, Losartan is not suitable. This is the case if you’re allergic to any of the ingredients, if you are pregnant or planning to become pregnant. Losartan is also not to be taken while breastfeeding and it is not suitable for patients with severe liver disease. 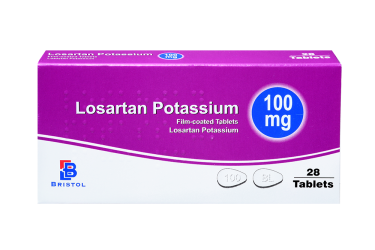 Losartan potassium can interact with some medications. Always inform your doctor of all medications you are taking before beginning a new treatment. This includes herbal remedies and non-prescription medicines. Your GP will decide whether you can combine any medicines you are currently taking with Losartan. How does drinking alcohol affect high blood pressure?